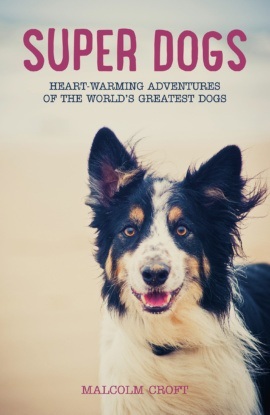 The dogs in this book won’t be donning red cloaks and tight, blue costumes. But they do have extraordinary abilities and out-of-this-world stories that make them super in their own right. From fictional dogs to war-time dogs, faithful dogs to working dogs, life-saving dogs to dogs in space and science, the stories in this book tell the adventures of courageous, trustworthy and dutiful dogs, reminding us of the true worth of having a canine as a companion. Malcolm Croft is dog-mad. He has an adventurous two-year-old dachshund, called Scooby, who was the inspiration for Super Dogs!. When he is not cuddling Scooby, Malcolm is a writer and freelance editor. He is the author of several popular non-fiction books.